… get a free nail polish! The 4 rather purdy Models Own shades above are available free instore at WHSmith when you buy a book from a selection of twenty great summer reads! Choose from Jade Stone, Fuzzy Peach, Red Alert or Pink Blush. You’ll find these perfectly polished page turners at selected WHSmith rail and Airport stores while stocks last. 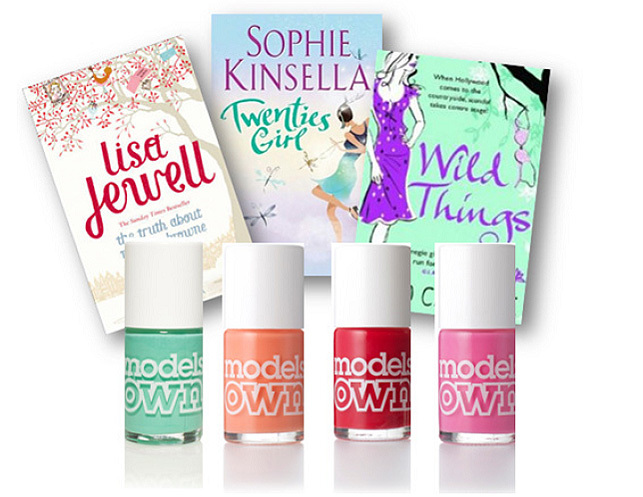 Surely it’s cheaper to buy a Models Own polish than buy one of those awful books? ?